This is the face of a dog who was never meant to smile, or to be loved. But then someone gave him a chance. Twitter user Xingyi Danielle is from Singapore, but her dad is stationed in China for work. 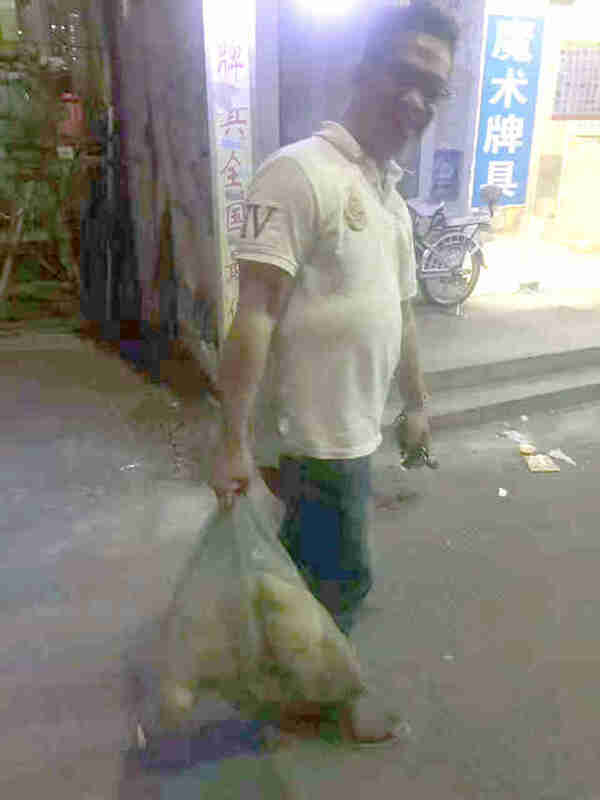 It was there that, while walking through an alley to buy dinner last month, he encountered a group of people selling live dogs, trapped in bags, who were fated to be slaughtered for meat. Rather than walk on by, the father chose to act. For about $90, he saved a life. 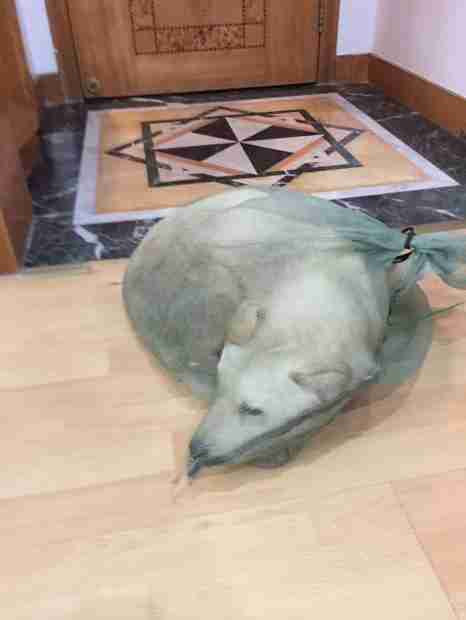 Back at home, Danielle's father snapped this this photo of the dog he'd saved, showing how he'd been kept — trapped inside a sack like he was just some commodity, and not a living thing. Thankfully, he is now in good hands. 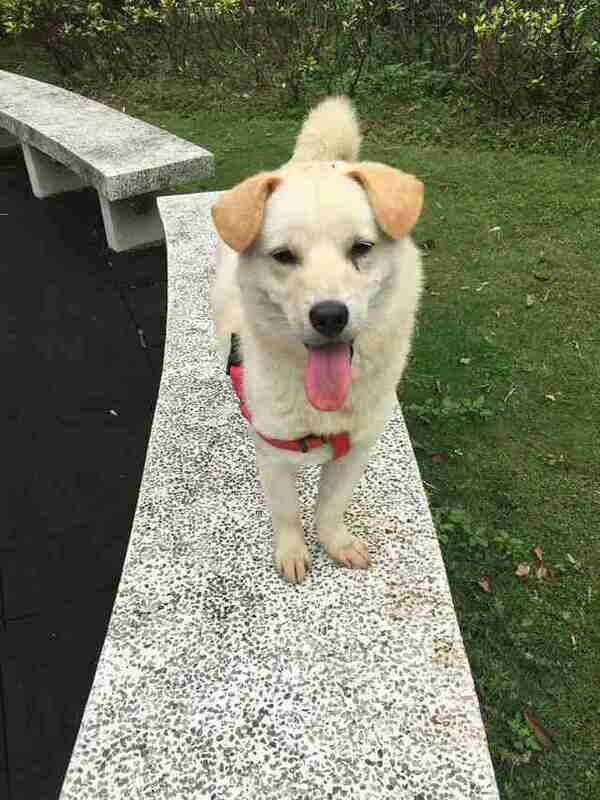 Danielle's dad even gave his new pet a name: "Its basically Doggo pronounced in Cantonese, actually," she said. The place where Danielle's dad is staying doesn't allow pets, so Doggo has been living in his office until a better arrangement can be found. The pup, however, has already begun taking advantage of his newfound freedom to move and explore. 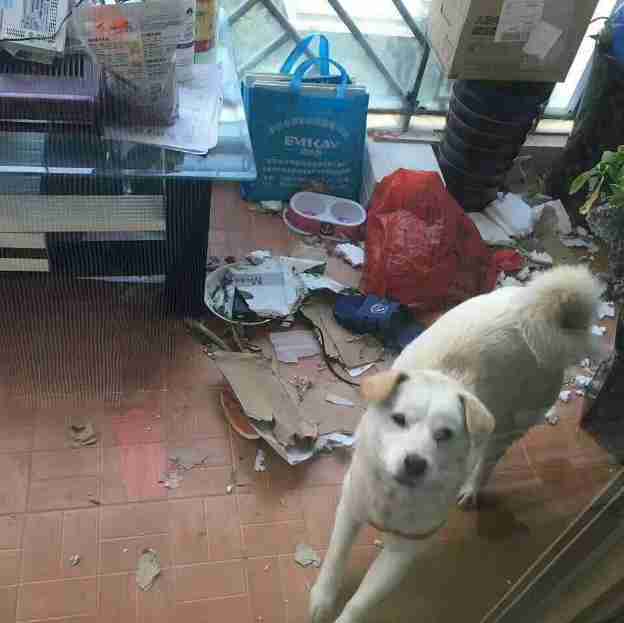 "My dad's colleagues are complaining about the mess Doggo is making, but he's still trying his best to provide a good environment for him," said Danielle. 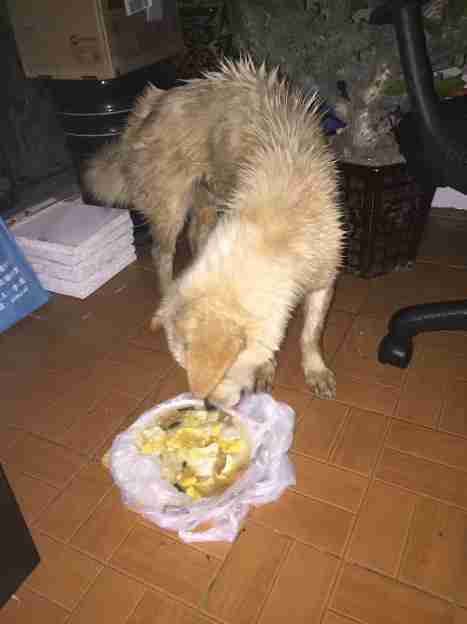 While Doggo's current living situation isn't ideal per se, it's still a world apart from what he would have experience if Danielle's dad hadn't saved him. Indeed, that spontaneous act of kindness made all the difference. "I was quite proud, to be honest," said Danielle. 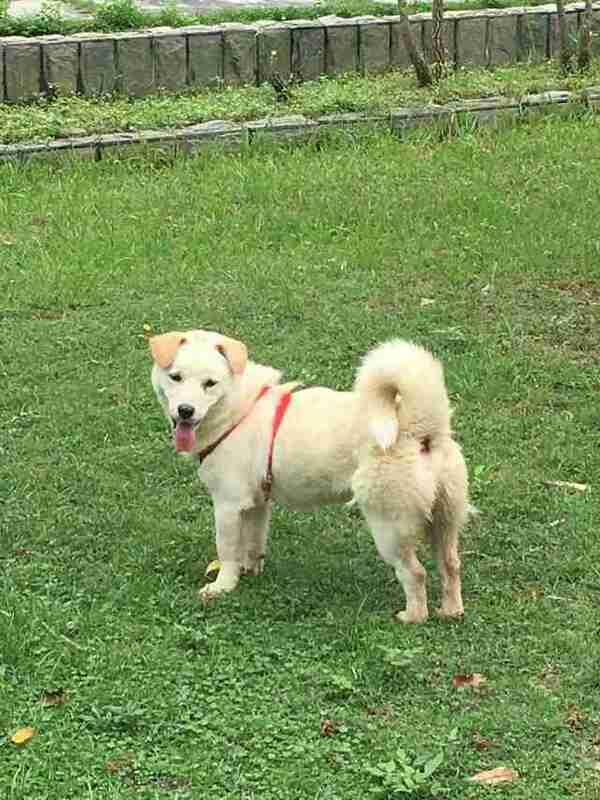 Doggo, too, couldn't be happier that someone decided to give him a chance. 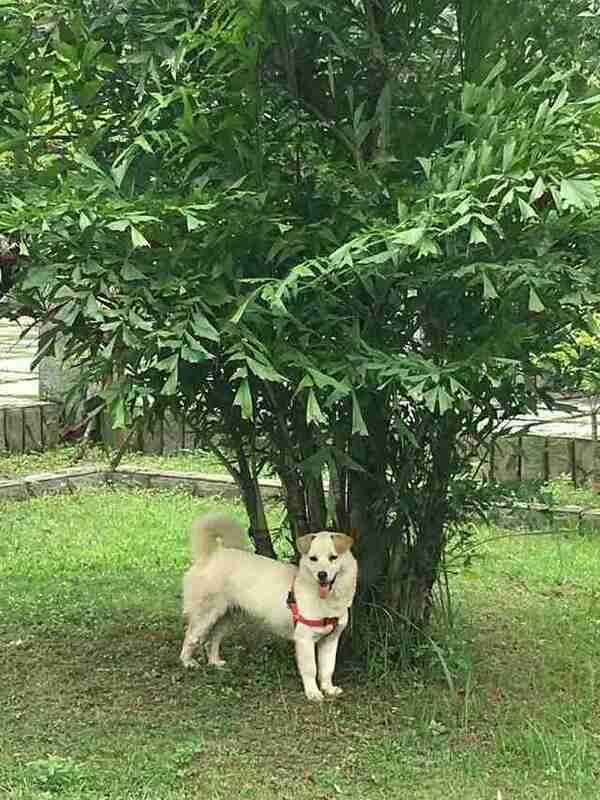 Although most people in China do not eat dog meat, millions of dogs are still bought and sold for slaughter every year by those who do — but with the recent ban of an infamous dog meat festival there, hopes have been buoyed that the trade of dogs for consumption is on the decline. Still, it's reassuring to know that folks like Danielle's dad are making a difference, even if it's just to help one pup at a time. 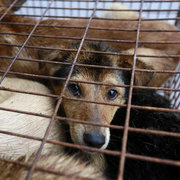 You can sign this pledge to help fight the dog meat trade in Asia.